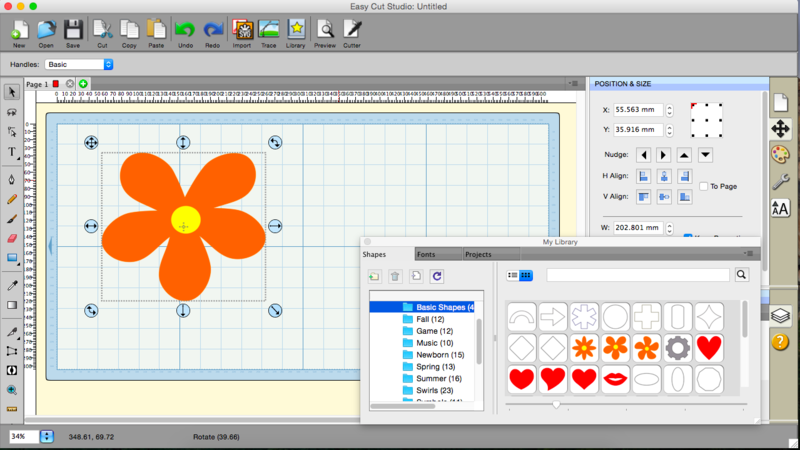 Experience an easy to use vinyl cutting plotter software to design, edit and cut your artwork. 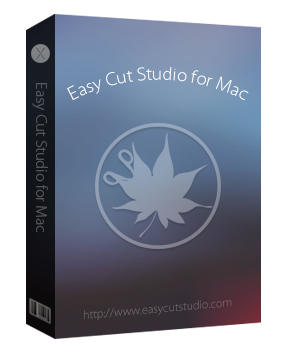 Easy Cut Studio is the most amazing sign making and cutting software specifically designed for Mac OS X that allows you to cut any TrueType font, OpenType any Dingbat font, and any SVG image with your electronic cutting machine! No special cartridges required. You can design and cut your own images from clipart, photographs, drawings, or freehand your own designs, support import any SVG, TTF, OTF, PDF, AI, DXF, WPC and many other popular formats. It also exports shapes in PDF, SVG, EPS, AI and PNG formats. With built in image trace tool, compatibility with all the major image formats, It lets you take raster graphics and turn them into vector paths. so that you can cut them with your cutting machine. It allows you to weld overlapping text and shapes together, which comes in handy when creating phrases that you want to cut in one piece. Easy Cut Studio is the perfect buddy for your Silhouette, Craft ROBO, Graphtec, Pazzles Inspiration, BossKut Gazelle, Roland, eCraft, Seiki, Ramtin, Secabo, Master Vinyl Cutter, Vinyl Express or USCutter vinyl cutting plotter. Ideal for Small/Home Office, Craft and Hobby Users. If you are using a Windows, please try the Easy Cut Studio for Windows. Create your effects, change the appearance, edit, combine, break apart, and more. Use any installed TrueType and OpenType fonts and support import TTF/OTF Files. Create rhinestone templates and Lattice shapes. Laser cut preview to see where you'll cut before you cut. Fully featured Node-editing tools built in. Import EPS, SVG, TTF, OTF, PDF or SCUT File. Convert Raster (PNG, BMP, GIF, JPG, etc.) Images to Cuttables. Place text and/or objects on Bezier paths. Hundreds of free shapes included. Text welding feature for cutting script font. Use layers to organize objects within a page. Option to cut only selected images. Trace tool to trace your imported images. Includes amazing effects for customizing your texts and shapes. Supports over 500 vinyl cutters/plotters including USCutter, Roland, Graphtec, Saga, Summa, KNK, GCC, Ioline, PCut, Silver Bullet, GoldCut, KingCut, Liyu, Redsail, Silhouette SD/CAMEO/Curio/Portrait, CraftRobo, Craftwell eCraft, i-Craft, Refine, VicSign, Dika, Seiki, Ramtin, Secabo, BossKut Gazelle, BlackCat, ZG, Rabbit, Creation PCut, Fenta, SignKey, Geokit, PixMax, Pazzles Inspiration/Pro/Vue, SignMax, Master Vinyl Cutter, Vinyl Express and more. is a powerful software to develop svg applications. cut-optimizing software, an easy-to-use pc-program, optimizes your rectangular cuts of wood, glass, steel and plastic. A vector-based graphic design software, quickly create illustrations, documents, manuals, posters, schemas, plans, flow charts, org charts etc.